S -14° 14' 0" and W -169° 30' 51"
Ta`ū in Manu'a District with it's 873 habitants is located in American Samoa about 80 mi (or 128 km) east of Pago Pago, the country's capital town. Current time in Ta`ū is now 04:35 AM (Saturday). The local timezone is named Pacific / Pago Pago with an UTC offset of -11 hours. We know of 6 airports close to Ta`ū. The closest airport in American Samoa is Tau Airport in a distance of 0 mi (or 1 km), North-East. Besides the airports, there are other travel options available (check left side). While being here, you might want to pay a visit to some of the following locations: Faleasao, Ofu, Pago Pago, Samamea and Lufilufi. To further explore this place, just scroll down and browse the available info. Let's start with some photos from the area. Ta‘ū is the largest island in the Manu‘a Group and the easternmost volcanic island of the Samoan Islands. 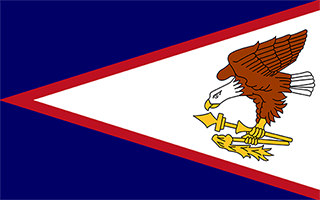 Ta‘ū is part of American Samoa. In the early 19th century, the island was sometimes called Opoun. The island is the eroded remnant of a "hotspot" shield volcano with a caldera complex or collapse feature (Liu Bench) on the south face. The summit of the island, called Lata Mountain, is at an elevation of 931 metres, making it the highest point in American Samoa. Located at -14.23, -169.45 (Lat. / Lng. ), about 4 miles away. Located at -14.175, -169.618 (Lat. / Lng. ), about 8 miles away. Located at -14.2086, -169.553 (Lat. / Lng. ), about 3 miles away. Fitiuta, also known as Fiti‘uta, is a town on the northeast coast of Ta‘ū island, one of the Manu‘a Islands in American Samoa. According to the US Census of 2000, Fitiuta had a population of 358, down from 454 in 1990. The town has two shops, a hotel and a church, which was recently built. The only airport on the island of Ta‘ū resides in Fitiuta. Located at -14.2222, -169.424 (Lat. / Lng. ), about 6 miles away. Fitiuta Airport is a public airport located in Fiti‘uta, a village on the island of Ta‘ū in American Samoa, an unincorporated territory of the United States. Fitiuta Airport replaces [[Tau Airport] previously located in the village of Tau. Tau Airport was officially deactivated after the construction and activation of Fitiuta Airport. The airport is owned by Government of American Samoa. |Tau Airport] previously located in the village of Tau. Located at -14.2161, -169.424 (Lat. / Lng. ), about 6 miles away. Located at -14.2292, -169.511 (Lat. / Lng. ), about 0 miles away. Located at -14.1844, -169.67 (Lat. / Lng. ), about 11 miles away. These are some bigger and more relevant cities in the wider vivinity of Ta`ū. These are the most popular locations in American Samoa on Tripmondo.